This week I preformed the pagan ritual of bring evergreens in the house to decorate for the holidays. I say that tongue-in-cheek because, ya, I know, Christian churches use boughs and holly in their houses of worship so how can doing so be a pagan ritual? It just was before early Christian leaders tried without success to stamp out the practice that pagans believed would repel evil spirits, witches and ghosts from coming inside from the cold. Having failed at that then early Christian leaders tried with success to convert the idea to a Christian symbol. Oh, yes, a great and powerful metaphor was born that turned the boughs of evergreens and holly into a symbol for eternal life after death. But even as late as the 3rd century holiday trees and evergreen boughs in the house were strictly forbidden by the church and aren’t we all glad they did an about face somewhere in the tumultuous pages of history. Although it's important to note that it was the publication of the `Twas The Night Before Christmas in 1823 and a drawing of a tree at England’s Windsor Castle reprinted in Godey's Lady's Book in 1850 that did the most to popularize the highly decorated Christmas trees we know today. Ah, the power of an illustrator! 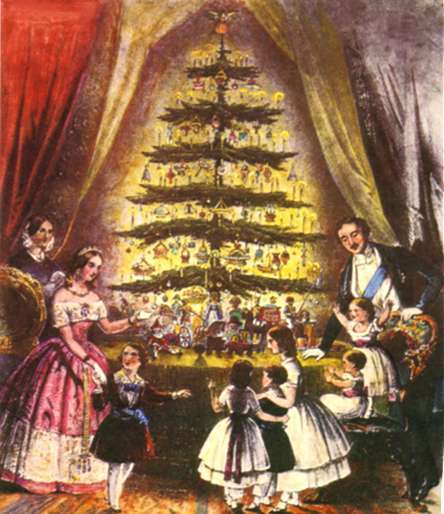 With the exception of in Germany where Queen Victoria’s husband was born, most Christmas trees in the century before the mid-1800s were sparsely decorated with edibles. I am neither a Christian nor a Celtic Druid afraid of ghosts or a Roman worshipper of Saturn, the god of agriculture. I just like the smell of evergreens in the house and playing with them brings me back to my days of working for a large florist where I spent my fair share of time before Christmas decorating rich people’s houses. Today they’d call it staging a house for the holidays. I was watching a Hallmark holiday movie over the weekend where a woman was hired to stage a house for the holidays and it took her nearly three weeks and, of course, she and her client fell in love along the way. 1) Any stager who would take that long to decorate one house would be out of business in short order. It was a one day on sight job---tops---with two days off sight prep-time, and 2) Clients aren’t usually young guys with beautiful houses and bodies and dimpled cheeks who gives you a key to come and go the whole month of December. Wander out in the morning to make coffee, there she’d be fluffing red bows on boxes. Come home from work, there she’d be hanging Christmas stockings. Okay, I admit it. I might be jealous that I never had a client like Mr. Dimples. I was young, single and looking for love back in my holiday staging days. Don’t you just love movies with improbable and shallow storylines? I have a love/hate relationship with Hallmark holiday movies but the happy endings for the lost, lonely and often widowed people makes them like a bowl of popcorn I can’t resist. They might reduce falling in love to a two hour cliché but they’re available nearly 24/7 to remind us all of the warm, fuzzy-feelings often mixed with messy, confusing feelings that go along with finding someone to love. As I settle firmly into the world of widowhood, it gets harder and harder to remember stuff like that. Speaking of movies, it’s been twelve days since I went across the street to my new neighbor’s house to watch “a Christian movie” with some of her friends. She’s the one with Parkinson’s disease and a whisper soft voice I can barely hear. That night I gave her my contact information including my email address and we have both answered and received an email every night since. We have almost nothing in common. She's very religious and sweet and I'm searching for another word to describe her: not exactly naive or sheltered but definitely different from worldly me. We are connecting on a deep level, I think, because we both know how to be open when writing, with no questions too personal to ask or answer. I hadn't expected a relationship to develop but I'm thinking it's filling a role in both of our lives. For me, it’s a window into the feelings of a severely disabled person. After living twelve years with a disabled husband who couldn’t walk, talk or write I find her internal coping tools and journey fascinating. Note: Tree at the top is the illustration that was in Godey's. It’s Black Friday and I’ve been sitting in front of the computer screen for what seems like forever because I have no idea what I’m going to write about for my Saturday blog post. When all else fails I think about writing about my dog, Levi. He’s my housemate and the only living thing that remotely needs me to stick around. Woe is me, I spent a wonderful day at my youngest niece’s house yesterday and when I came back home to Levi I was wishing once again that I lived closer to my family. My niece and her family are loving, kind and fun and I miss being around that kind of warmth between the generations. And did I mention there were four dogs in attendance? The two large dogs had to spend the day in the garage but the other two---petite things that I doubt weigh eight pounds put together---were in Action Central. It’s amazing how they manage not to get squashed under someone’s feet. I know it sounds silly but one of those dogs even wears pajamas to bed. Her “mom” says the PJs keep her from getting hair in their bed. 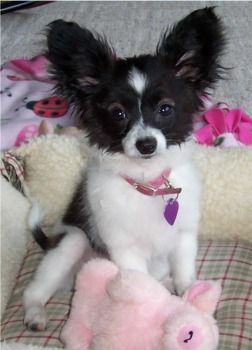 I wish my mom was alive to see that Papillion mix. Mom thought I spoiled my dogs too much and it would have taken the heat off me, knowing this dog has a wardrobe of girlie things that would make a Barbie doll jealous. Tomorrow I’ll be going to my nephew’s house. Their two grand-babies are both going to be town thus I got invited out to give auntie hugs. They aren’t even a year old yet and my nephew and his wife are truly enjoying their grand-parenthood status. I love that I’m included but it’s another long drive and every time I make a trip out to see my family it makes me sad coming home, knowing at some point I’ll be too old to do that drive safety. Why can’t I stay focused on the here and now and quit worrying about my tomorrows? Why can’t I make a decision to stay put or move and quit vacillating on that topic every time a holiday comes along and I see my family? I looked up writing prompts when I couldn’t come up with a topic for this blog and I wrote down, “Heart vs Head.” I thought I’d disregarded that topic but moving or staying put actually is a heart vs head dilemma because it always comes back to the same conclusion: my heart wants to go but my head tells me I still wouldn’t see my family more often than on holidays---they are all busy, working and/or traveling---and I’d be giving up the only anchor I have beside Levi: the senior hall and all its activities. Yada, yada, yada. I’m starting to sound like a broke record. All I know for sure is it’s crazy to make myself blue over something that only takes place inside my head. Right now, this week I’m seeing family and that should be enough. My husband's memory has not been heavy on my mind this week, but I knew he was lurking somewhere in the darkness when I picked up my silver ‘butterfly’ ring off the base of my monitor and put it on. I do that when I want to feel close, then in a few days I'll put it back where it came from. I bought it to commemorate my second annual pilgrimage to the Butterflies in Bloom exhibit to honor his life. I have this thing about widowhood jewelry with symbolism. First there was my antique Victorian mourning broach that I have worn to every single funeral I’ve gone to since 1983. Then came the ash pocket, heart-shaped locket bought soon after Don's funeral followed by a custom made beaded necklace that incorporates my husband’s wedding ring. I wore one of these three pieces whenever I left the house in the first phase of widowhood. After that came my cowardly lion charm from the Wizard of Oz. It symbolized having courage when I first started to venture out into the world of socializing alone. Last and also the least meaning full to me is an Origami living locket. The only reason I bought it was because I was jealous of another widow who had one. She tells everyone about how all the charms inside the locket relate to her husband. She still wears hers every day and it’s been four years but I’ve only worn mine a total of three times in the same length of time. I couldn't find charms that told Don's story. All I have inside the glass fronted locket is a Taijitu (yin-yang symbol), a ruby red cut glass heart, a tiny pearl and an 'in memory' charm. Jealously never ends well. NOTE: Photo at the top is a Papillion like the one at the party. Like so many of women’s contributions to our country they usually got omitted from the history books in past centuries because the publishers, back then, were an all-boys club and they didn’t play fair with women and people of color. For example did you know that we can thank a woman---Sarah Josepha Hale---for the entire United States celebrating Thanksgiving on a fixed date? Before her forty years (yes, FORTY YEARS) of lobbying politicians including five presidents, each state celebrated Thanksgiving on a different date between October and January. 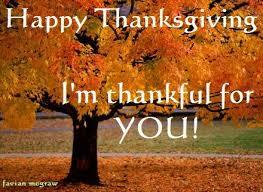 Finally, she persuaded Abraham Lincoln that a national day of thanksgiving would foster a sense of national unity. Thus he proclaimed it so and we’ve all been celebrating Thanksgiving on the last Thursday in November ever since. Sarah was an American writer and an influential editor of Godey’s Lady’s Magazine but today, unless you’re a women’s history buff, most people might only know her as the author of the nursery rhyme, Mary Had a Little Lamb. If you’ve dug deep into the history of the Bunker Hill Monument you might also know that Sarah was instrumental in its completion by organizing fund raisers and using the power of her pen to raise $30,000 to make sure the 221-foot obelisk got built when the men in charge ran out of money. And if you’re a stalker-like women’s history aficionado you might even own a bobble head doll created in her likeness by the New Hampshire Historical Society. Give a woman a century or two and maybe she’ll get the recognition she deserves. Three of my grandparents were dead before I was born and the forth one died a few years after so I don’t have memories of going, “over the river and through the woods, now Grandmother's cap I spy! Hurrah for the fun! Is the pudding done? Hurrah for the pumpkin pie!” My memories of Thanksgiving don’t come into focus until the ‘60s when I was in college and we’d all gather at my brother’s house in the country for a the traditional celebration. He and my sister-in-law had three small children and it was easier for them to host than to bring the kids into town where our parent’s house wasn’t big enough to fit everyone around a table. I never had much interest in helping in the kitchen and by default I’d be the one to take the kids outside to play while the “women’s work” was going on. If there was snow that meant sledding, if not there was a woods in their back yard and forts to build. Over the years families and traditions change. By the time my brother and wife divorced, my parents had remodeled our cottage for year-around living and it became our holiday destination until my mom died in 1983. After that, my husband and I were anchorless for a year or two until Don’s sister-in-law’s started including us in with her large family and I shared Thanksgiving with them right up through my first Thanksgiving after Don died. That was the last time they all got together as one cohesive family. As a widow I got a few invitations in years two and three post-widowhood but I turned them down because they would have made me feel lonelier eating with mostly strangers. This year I’ll be having Thanksgiving dinner at my youngest niece's house on a lake. Her two year old grandson and my brother will be there and as the second oldest in attendance I won’t be allowed to help much in the kitchen. It feels a little like I’m coming full circle. My niece always loads me up with left overs when I go to her get-togethers so I will have turkey sandwiches in the days that follow and that hasn’t happened since my mother died. Another Past, Present and WTF? Past, Present and---What Comes Next?